Miles on First Bounce Anthony Miles joins AFL's First Bounce ahead of the second NAB Challenge match against Hawthorn. Speed and endurance has been the focus of hard-nosed Richmond midfielder Anthony Miles this pre-season. With the AFL’s impending interchange cap rotation change from 120 to 90 this season, Miles has prepared by honing in on his fitness to ensure that come Round 1, he’s ready for more game time. “Like most blokes I’ve been trying to work on my tank (over the pre-season),” Miles said on afl.com.au’s First Bounce program. “With the interchange cap coming in and everything like that, players are going to have to spend more time on the ground. “And probably for me as well, having to spend more time forward as a result of the interchange cap, so I’ve been working on those things. While Miles sat out last Friday’s opening NAB Challenge match against Fremantle, he has been named in the Club’s squad for this Saturday’s game against Hawthorn in Beaconsfield. The 23-year-old said he could not wait to pull on his jumper for the first time this year. “We’ve had a great pre-season,” he said. The Albury product has flourished at Richmond after being delisted by Greater Western Sydney at the end of 2013. Miles said there was a select group that had been instrumental in his growth at the Club – his fellow midfielders. 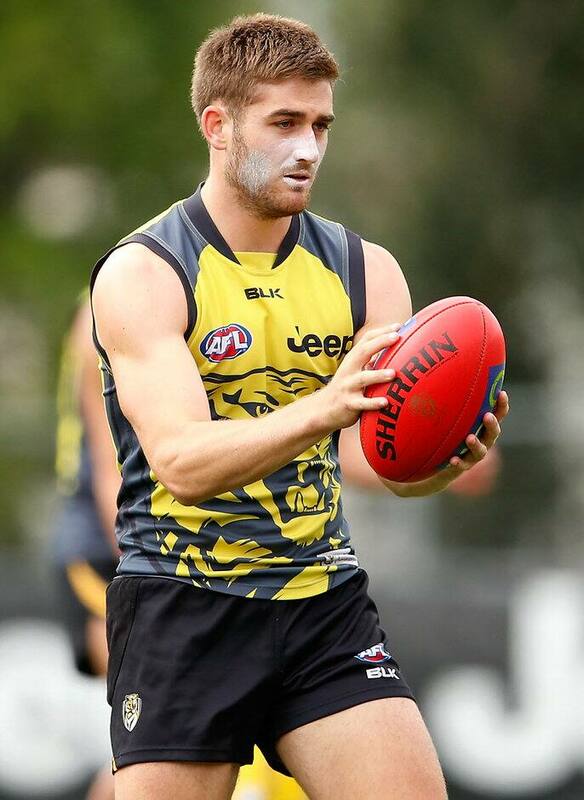 “They’ve been great for my development, particularly Cotch, Dusty and Lids as well,” he said.